adventures, poetry, biographies & autobiographies to novels. The last three years have seen well over 100 entries and a very high standard of submission has generally emerged. through literature is one way in which the BT Trust seeks to remember Pete and Joe. The cover of this book sends a shiver down the spine. The life of an un-roped solo climber is its sensational subject. But it is the quality of Alex Honnold’s articulation of his approach to this purest of pursuits that grabs the reader, together with his honesty about the personal costs of his lifestyle and amazing achievements, contextualised by David Roberts in this well-crafted book. 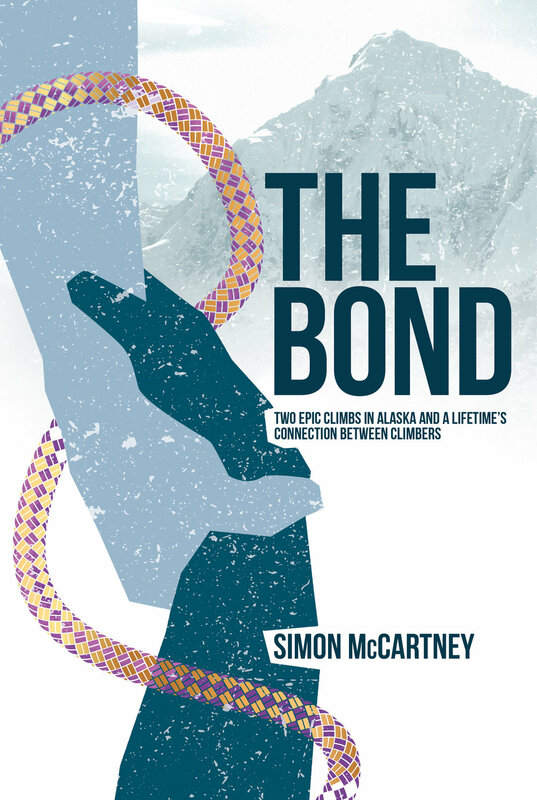 Simon McCartney’s title is the theme of his book - the bond between climbers upon which he increasingly comes to rely in his accounts of two epic new routes in Alaska in 1978 and 1980 that demonstrate a remarkable self-awareness verging upon hubris, as he readily admits. Mountaineers Books, of Seattle, Washington, is honored to be the North American publisher of The Bond; it is the latest entry in their Legends and Lore series of outstanding mountaineering literature. Simon McCartney was born in London in 1955 and was introduced to the mountains of the UK by his father, Mac. He became addicted to climbing in his early teens and spent his school holidays climbing all over the UK. A fine season in 1977 as the sorcerer’s apprentice to Dave Wilkinson, one of Britain’s leading alpinists, produced a number of paradigm-changing climbs. A first and extreme ascent in the Bernese Oberland and a string of second ascents and test-piece climbs around Chamonix changed Simon’s perspective on what was possible. The pair attempted a summer ascent of the north face of the Eiger but were thwarted by poor weather. Simon climbed the route in the winter of 1979. In 1977 Simon met Californian ‘Stonemaster’ Jack Roberts in a Chamonix bar. A partnership was formed and the pair went on to testthe limits of their ability on two remarkable first ascents in Alaska, the second of which, on Denali in 1980, effectively ended Simon’s climbing career. Simon is now a successful businessman living in Hong Kong where his dubious talent in calculated but compulsive risk-taking has continued, albeit on South-East Asia’s most prestigious buildings. The Bond is his first book. Sunday morning in 1980 fifty-seven people were killed, some as far as thirteen miles away. Steve Olson not only tells their personal stories, but also turns the tension between the science and the cultural assumptions at play on that day into a drama that reads like a tragic thriller. Steve Olson is the author of Eruptions, Mapping Human History (a finalist for the National Book Award),Count Down, and other books. He lives in Seattle, Washington. More than the story of ‘the man who made Friends’, this book reveals that the spirit brought to bear on friendships, climbs, BMC management and tough business dilemmas, can be harnessed to deal with the onset of Parkinson’s disease in a direct and at times humorous narrative. Mark Vallance was born in Cheshire. After watching the film of the 1953 ascent of Everest, he developed an obsession for climbing and exploration. Educated at Abbotsholme School and Goldsmiths, University of London, he spent two years in Halley Bay working for the British Antarctic Survey. In 1977, he formed Wild Country to manufacture Ray Jardine’s revolutionary climbing protection device, called Friends, launching one of the most influential outdoor brands in British history. In 1987 he built and opened Outside, a new kind of outdoor retailer in the UK. Having sold his businesses, Vallance planned a long and action-packed retirement, but was diagnosed with Parkinson’s disease aged only fifty-four. He has since served as president of the British Mountaineering Council. He lives in Sheffield with his wife Jan. It was the Australian rebel George Finch who demonstrated the value of oxygen in reaching almost 27,000 feet on Everest in 1922. But Robert Wainwright’s biography also reveals an eccentric scientist and inventor whose complicated personal life extended to his strange relationship with his son, the actor Peter Finch. 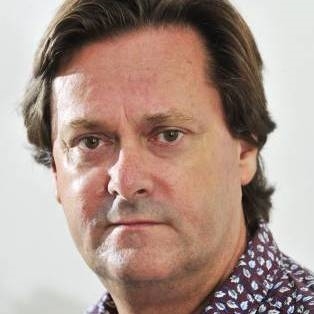 Robert Wainwright has worked as a journalist for thirty years and is the author of nine books, including most recently Sheila: The Australian Ingenue who Bewitched British Society. He lives in London. The winner of the Boardman Tasker Award for Mountain Literature will be a book that Pete and Joe would be proud of being associated with. The winner will be announced on November 18th 2016 at the Kendal Mountain Festival after the BT Shortlisted Authors event. 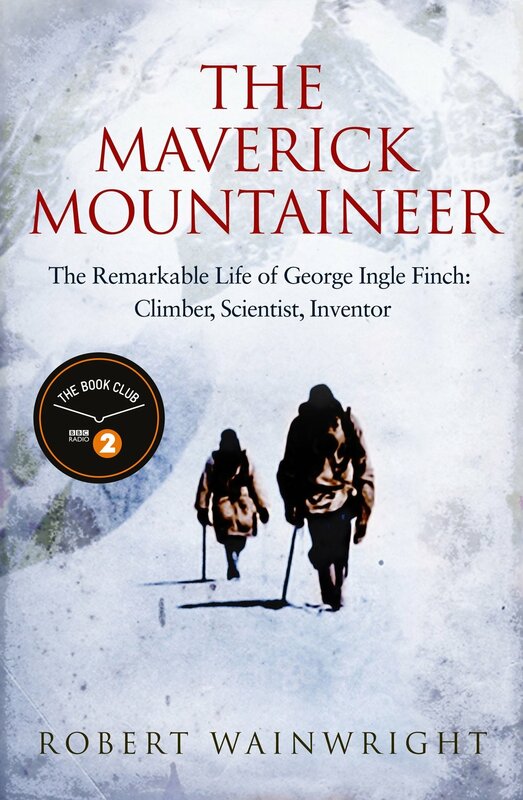 Stephen Venables, mountaineer and writer will chat with the shortlisted authors, and they will all read from their books. The anniversary of Pete and Joe’s Changabang in 1976 will be marked by a display.